A lightweight pole and panel system, in blue fabric, that due to its modular design enables the user to reconfigure and extend the display system to suit a variety of uses. 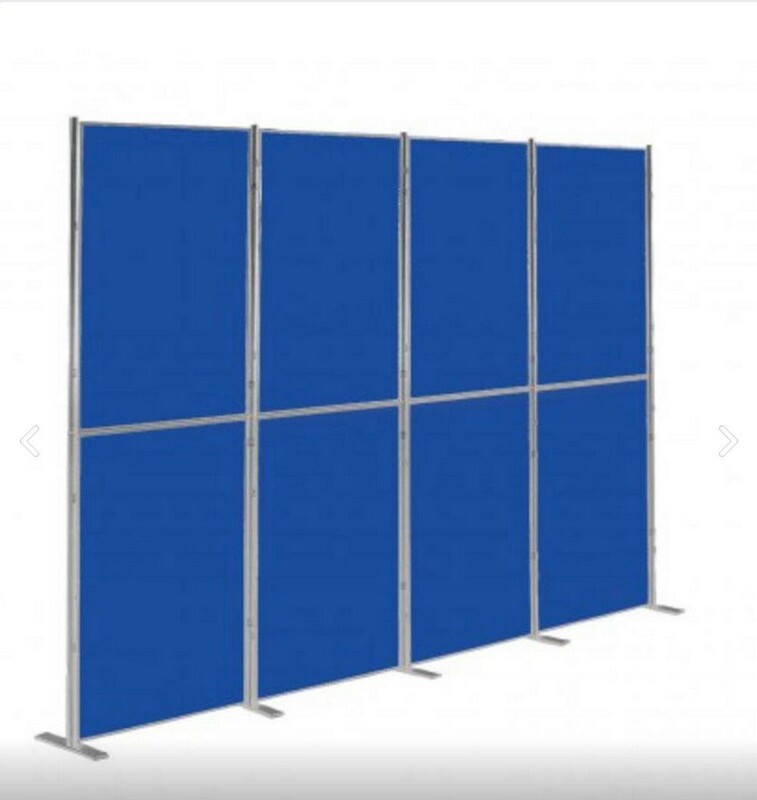 Each of the standard 600 x 900mm panels can be mounted either portrait or landscape onto the 1800mm high pole, using C clips provided. The system can be extended at any point by purchasing another kit to link on. All panels (x 8) are double sided with a choice of loop nylon covering, which accepts Velcro or Busyfix as well as pins. 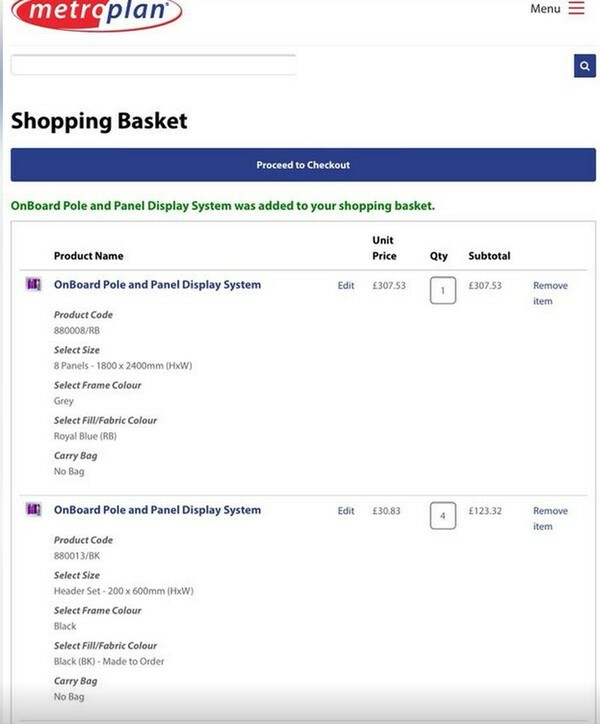 Unlike most display board systems, it’s stable without having to angle the panels, so you can use it as a flat screen of any width, or in any other configuration you wish. Header panels ( x 4), in black, have loop nylon fabric on one side and black on reverse for optional personalising. 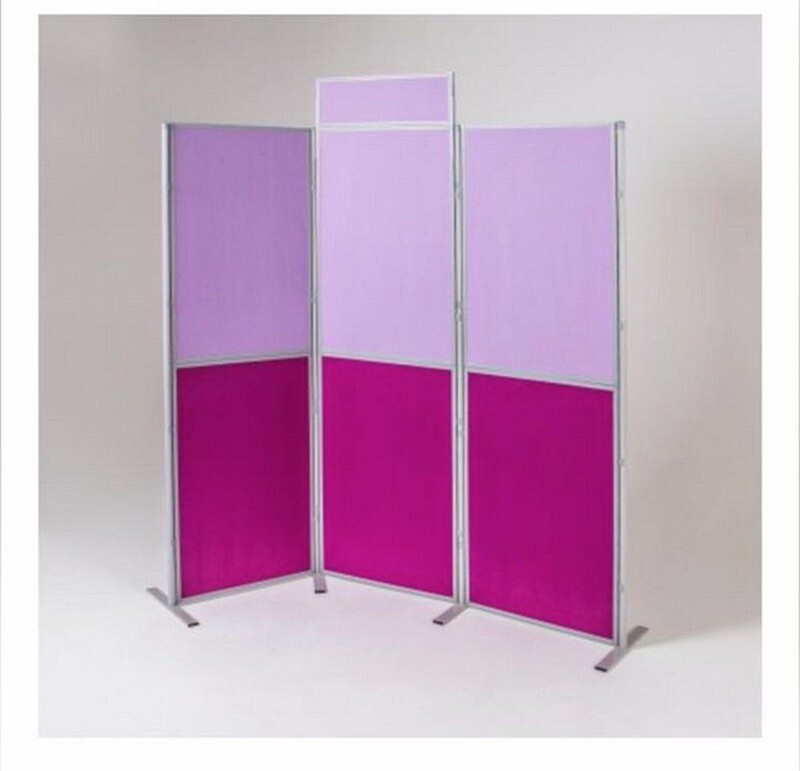 The Pole Set (x 4) consists of a foot and two-piece poles which easily fix together to stand 1800mm tall. New, in its original box. Made in the UK. Purchased for an exhibition but didn’t end up using it. Header board boxes have never been opened. Total cost was £430 plus delivery from MetroPlan. You may arrange pick up in person, or via a courier on most Fridays. The box is large - approximately 1m x 1.25m.